Great Stupa at Sanchi. 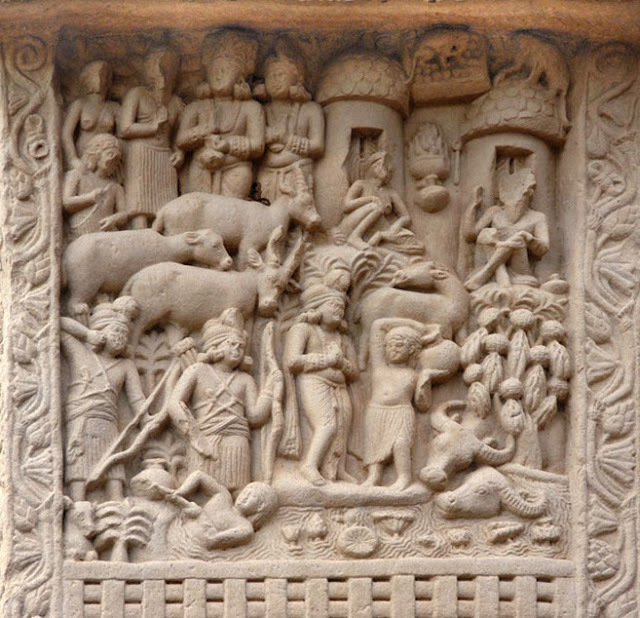 Madhya Pradesh, Stone Relief, (c. 50 BCE- 50 CE). While taking an online course “An Introduction to the History and Philosophy of Yoga” with Seth Powell, I became very curious about the origins of yoga instruction for people who weren’t male and from an upper caste in India—the primary demographic we had studied. When, for example, did people with disabilities, women, or other marginalized groups gain access to the teachings of yoga in India? What allowed for these changes to happen? Despite Seth's busy schedule of teaching, writing a PhD dissertation, and having a family-life with children, he agreed to an interview to shed some light on these questions. Because the final interview was quite long, with detailed and fascinating answers to each question, I decided to divide it into separate posts, with one question and answer in each post in the series. Priya: What circumstances in India changed to allow for greater access to yoga—for example, for people with disabilities, of lower castes, and women? Could you explain/describe this for our readers. The Śivayogapradīpikā (SYP), the “Lamp on Śiva’s Yoga,” composed around the same time, suggests particular āsanas for individuals according to their station in life. Lotus Posture (ambuja) is for householders. Adepts Pose (siddhāsana) for ascetics. And Comfortable Posture (sukhāsana) is for all others (ŚYP 2.14). From this perspective, it does not really matter which posture one engages, so long as one is able to hold the posture. Does that mean there was a medieval “Accessible Yoga” movement in premodern India? Not exactly. But for various reasons, the authors of these texts did feel it important to make these teachings “accessible” to a broader demographic, and continually stress their universality. Though we should keep in mind, the texts were still predominantly written in the elite and Brahmanical medium of Sanskrit, which would have limited their audience considerably. It is unlikely that most yogis in India (past or present) would have actually read these texts. Still to this day, among contemporary sādhu and ascetic orders, the oral and spoken word of the living guru is often valued higher than the scriptures (see e.g., Bevilacqua, 2018). And while the texts speak of a growing householder yoga audience, they are still primarily aimed at ascetic yogis. Why these shifts took place within Indian society and within yoga traditions is still very much discussed and debated by scholars today. Dr. James Mallinson of the Haṭha Yoga Project, the world’s leading authority on medieval yoga texts and traditions, has recently suggested that many of the Haṭha Yoga texts were likely composed within south Indian monasteries (maṭha) and institutions which received heavy patronage during the early second millennium CE. Within these institutional environments, we can detect a range of issues that were being addressed by the authors of these texts, including who should have access to yoga, and of what kind. There were certainly a variety of prominent yoga systems in parlance during this period, and there was clearly some debate about which was the most effective yoga! The proliferation of yoga styles, schools, and lineages, and debates about “authenticity” and “tradition” is thus not a modern problem—though the discourse certainly looks different today in the face of beer yoga, goat yoga, et al. “Āsana is described first because it is the first auxiliary of Haṭha. One should perform it, for āsana [results in] steadiness, freedom from disease, and lightness of body.” (HP 1.17). The Haṭhapradīpikā and other texts describe particular āsanas which are prescribed for specific ailments in the body. 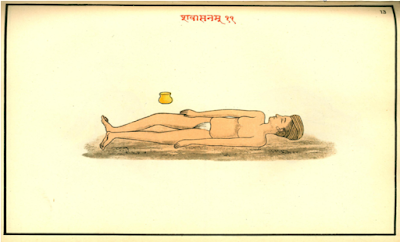 For example, the hand-balancing Peacock Pose (mayūrāsana) is said to destroy stomach ailments and diseases, while the famous Corpse Pose (śavāsana) is said to ward off fatigue and bring mental relaxation. I have suggested elsewhere that this shift in theory and praxis seemed to open up new anatomical potentials for the creative ways in which the body was used in Haṭha Yoga practice, and may help to partially explain why we see a surge in the number of āsanas taught in texts after the sixteenth century—as Dr. Jason Birch has recently shown. As with contemporary sadhu culture in India today, it seems clear to me that historically Haṭha yogis came from a range of social backgrounds, and were certainly not all of elite Brahmin caste. Recently, at a South Asia conference in Madison, Wisconsin, I heard a great paper given by Jason Schwartz (PhD Candidate, UCSB), who spoke of a very particular lineage of artisan, goldsmith, Śiva yogis in medieval Maharashtra. These were sculptors from what is typically considered a “low caste” who were well versed in both traditional temple-construction arts (śilpaśāstra) and yoga! As scholarship continues to progress on these traditions, we are getting a better idea of who actually had access to the practice of yoga in premodern times. Seth Powell is a longtime practitioner of yoga and a scholar of Indian religions, Sanskrit, and yoga traditions, and is the founder of Yogic Studies. 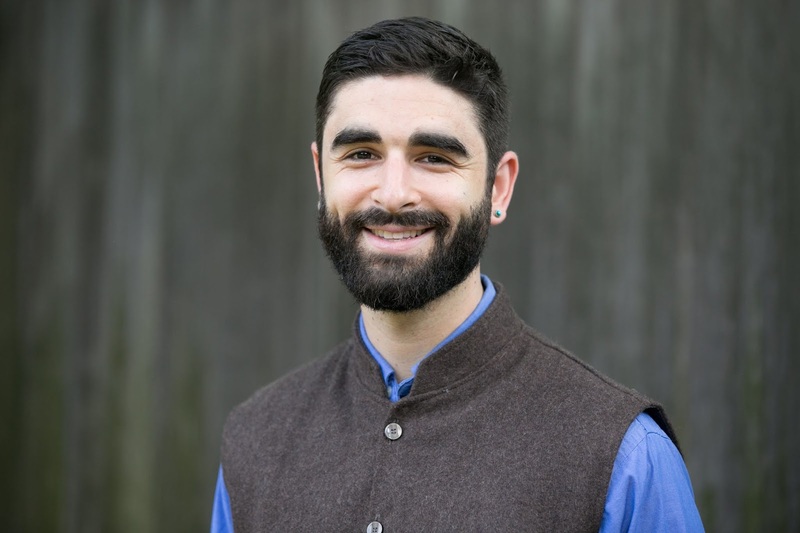 He is currently a PhD Candidate in South Asian Religions at Harvard University, where he is writing his dissertation on the history, theory, and practice of medieval and early modern yoga traditions. Seth also holds degrees in the study of religion from the University of Washington (MA) and Humboldt State University (BA). He has taught and lectured for numerous university courses on the religions and literature of India, Hinduism, Buddhism, and yoga traditions, and presents his research regularly at international conferences. Seth conducts online courses and teaches regularly on the history and philosophy of yoga at studios, teacher trainings, and universities around the country. You can find him online at www.yogicstudies.com. Bevilacqua, Daniela. 2018. “Let the Sādhus Talk. Ascetic understanding of Haṭha Yoga and yogāsanas.”Draft. Birch, Jason. 2018. “The Proliferation of Āsana in Late Mediaeval Yoga Traditions.” In Yoga in Transformation: Historical and Contemporary Perspectives, edited by Karl Baier, Philipp A. Maas, and Karin Preisendanz, 97-171. Göttingen: Vandenhoeck & Ruprecht Unipress. Diamond, Debra, ed. 2013. Yoga: The Art of Transformation. Washington, D.C.: Arthur M. Sackler Gallery, Smithsonian Institution. Jones, Jamal Andre. 2018. 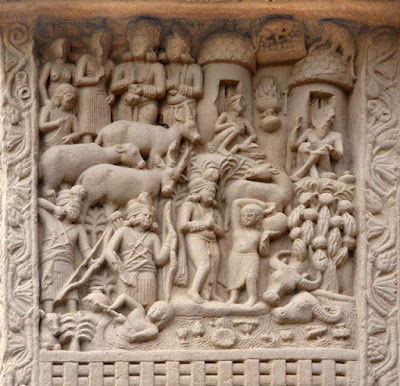 “A Poetics of Power in Andhra, 1323-1450 CE.” Ph.D. dissertation—University of Chicago. Mallinson, James. 2011. “Haṭha Yoga.” Brill Encyclopedia of Hinduism 3: 770–81. Powell, Seth. 2017. “Advice on Āsana in the Śivayogapradīpikā.” Guest blogpost for The Luminescent. Powell, Seth. 2018. “The Ancient Yoga Strap: A Brief History of the Yogapaṭṭa.” Guest blogpost for The Luminescent. 2018. “Etched in Stone: Sixteenth-century Visual and Material Evidence of Śaiva Ascetics and Yogis in Complex Non-seated Āsanas at Vijayanagara.” Journal of Yoga Studies (1): 45-106. Singleton, Mark. 2010. Yoga Body: The Origins of Modern Posture Practice. Oxford: Oxford University Press. This post was edited by Patrice Priya Wagner, co-editor of Accessible Yoga blog and member of the Board of Directors. ° REGISTER here for our next conference. ° FOLLOW Accessible Yoga on Facebook, Twitter, Instagram, and YouTube. ° DONATE here to help us bring yoga to people who don't have access or have been underserved, such as people with disabilities, chronic illnesses, children with special needs, and anyone who doesn't feel comfortable in a regular yoga class.